If you are on the lookout for a brand new digital camera, perhaps it might be prudent to check out just what Nikon has released earlier this month. 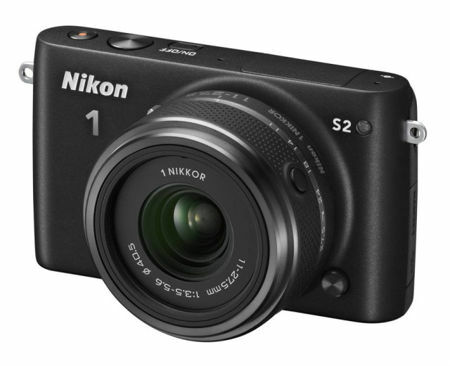 I am referring to the new compact Nikon 1 J4 as well as the Nikon 1 S2, where both of them deliver the ability to capture life’s spontaneous moments with incredible speed and performance. Being compact in size and yet boasting of feature-packed options, the new Nikon 1 J4 and Nikon 1 S2 will both offer the world’s fastest continuous shooting frame rate at an uncompromising 20 frames-per-second (fps) at full resolution, while the Nikon 1 J4 will come with an impressive 171 contrast detect focus areas as well as 105 phase-detect AF points for incredible autofocus accuracy – regardless of whether you are shooting stills or whipping up your very own High Definition video. The Nikon 1 J4 will boast of a new 18.4-megapixel CX-format CMOS image sensor, while the Nikon 1 S2 features a 14.2-megapixel CMOS imaging sensor. With the new EXPEED 4A image processing engine found underneath the hood, it will be able to capture family portraits, incredible landscapes or key match winning moments on the pitch with ease. Low-light settings are not a hindrance, either, as users can make use of an increased ISO range which is expandable up to 12,800. Apart from that, the Nikon 1 J4 will also boast of built-in Wi-Fi connectivity that enables a seamless connection to a compatible smartphone or tablet, whereas the Nikon1 S2 lets you do the same with an optional WU-1a Wireless Mobile Adapter. This makes it a whole lot easier to transfer photos on the move without having to bring around one of them pesky cables, and it also gives you a different avenue just in case you happen to forget to bring your cable on your travels. The Nikon 1 J4 that comes with the 1 NIKKOR 10-30mm f/3.5-5.6 PD-Zoom lens, will be available in Black, White, Silver and Orange colors at $649.95 a pop this month, while those who want the Nikon 1 S2 will have to wait until June to pick it up in Black, White, Red and Yellow shades kitted with the 1 NIKKOR 11-27.5mm f/3.5-5.6 lens for $449.95 each.